They may also say they were working on a neighbor’s home and noticed something. Sometimes two will come together and one may go inside your home while the other has you distracted with a repair. It is a good idea to have a chain on your front door that allows you to crack your door if you do decide to open the door to someone stopping by. If they are legitimate then they will willingly hand you a business card for you to call them and follow up. They will never pressure you to pay upfront or require a large deposit on the spot. The best option if someone comes to your door and you do not recognize them or were not expecting someone to arrive is to simply not answer the door. Always make sure that the doors to your home and car are locked. Even if they say they have leftover materials or they have references, unless you know the people listed, it is best to use caution. 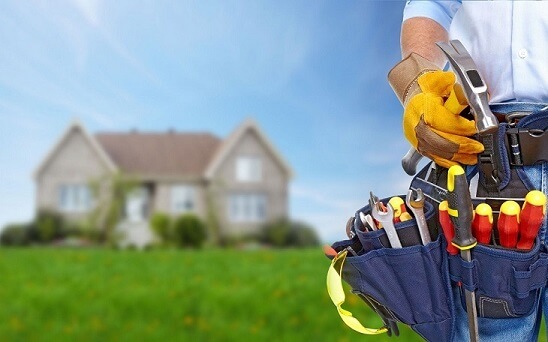 If you do need a repair on your home then ask your neighbors for legitimate references. Don’t ever feel rushed to act on something a contractor says you need to have done. Don’t wait months if they say it is a leak in the roof but also take the time to check out the contractor and make sure that they will do a good job and charge a fair amount.